The time runs too fast, we knew but it will be faster we didn't imagine. Yesterday we finished watching last W, Uncontrollably Fond and Let Fight Ghost and today the new episode for these on aired. Its a little time and too much to watch. As we started episode wise review we though we will have too much time left to cover the other dramas but it was our dream. The time flew away without giving any notice. 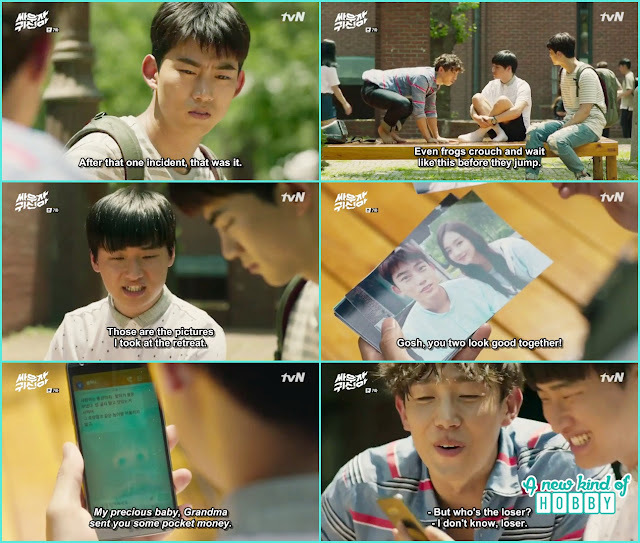 In episode 6 Bong Pal was all worried for Hyun Ji. He ran back and the episode ends there. We were curious what will going to happen. In episode 7 he finally manage to fight the water ghost and rescue Hyun Ji. She was too scared and started crying when she came back to her senses. Monk Myung visit Bong Pal father but he wasn't there. He become dead worried something might bad had happened to him. Otherwise he is a person who never left without saying anything. 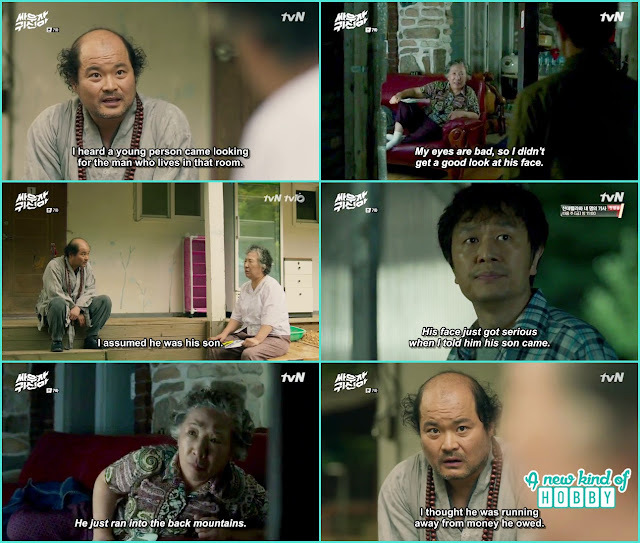 The Ajumma there told Monk Myung why every one looking for this man. Two days ago someone came looking for him, i though he was his son. But he expressions were too shocked, i thought he was running away from the money he owned. He ran towards the back mountain and never came back. The story was getting too complicated. Now the police has been involved. The senior detective got something on Professor being the suspect and was suspicious of him regarding the female student murder. 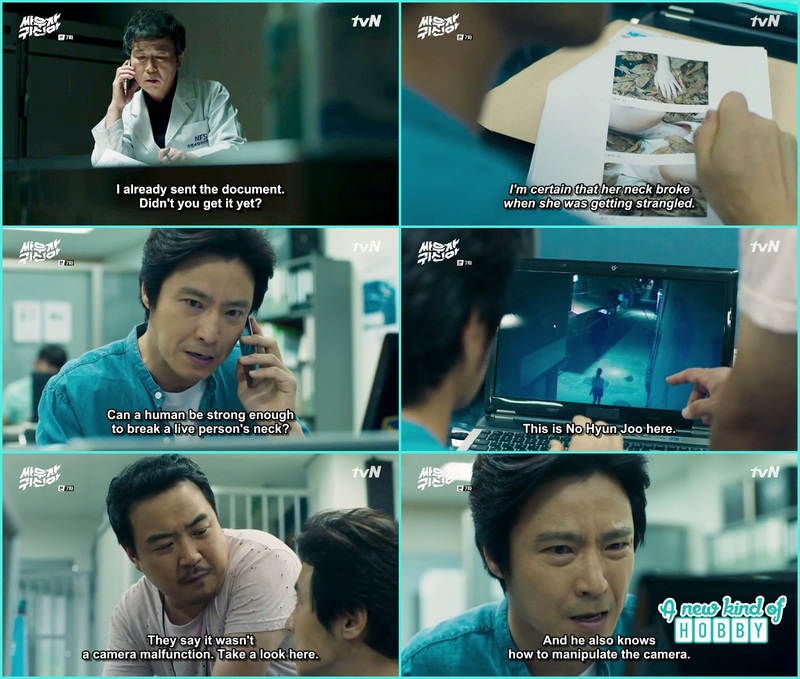 They secretly started the investigation and talk to Seo Yeon and come to knew the details of what happened last day she met with her. The professor saw everything and made us worried what evil will he going to do. On the other hand Monk Myung after encountering professor was all worried about Bong pal's father. He tried to contact him but no reply. So he went and searched the mountains. Bog Pal fathers phone was in Professors possession OMG he get rid of him. Professor saw the phone ringing and remember how he get ride of Bong Pal's father in the mountain. He was really the monster. Me and my sister were praying when will his true nature going to expose in front of other people. Also we were curious what is the thing he wants so badly from Bong Pal's father. This episode was really giving a confusing doze and we couldn't getting to what actually the professor is up to, and how he is at its good position in the university. We have seen many dramas with super natural element and never become confused enough to judge the evil intension, but it happened this time. After retreat In Rang develop the pictures and got a glimpse of Hyun ji (Angel). He was too happy he took that picture secretly and hide it in the note book. The other pictures he gave it to Bong Pal as the memories of their retreat gathering. Hyun Ji saw the pictures of Bong Pal and Seo Yeon she become a bit jealous i was there also. Out of jealousy she made Seo Yeon's picture funny with the marker and we smiled even ghost have emotions of love, hatred and jealousy. Bong Pal scold Hyun ji why are you smiling when your grades are these low. Hyun ji what if i get good grades will you give me a wish? Bong Pal agreed that he will grant what ever she wants if she get more than 80% in next test. The funny ghostnet guys robbed In Rang in the way we laughed. In Rang receieve the allounce from her grandmother and Sung Chul bought uniform with that mone saying "Your money is my money, my money is your money". They both were too funny. On the way back Hyun Ji ask Bong Pal she also wants a uniform. 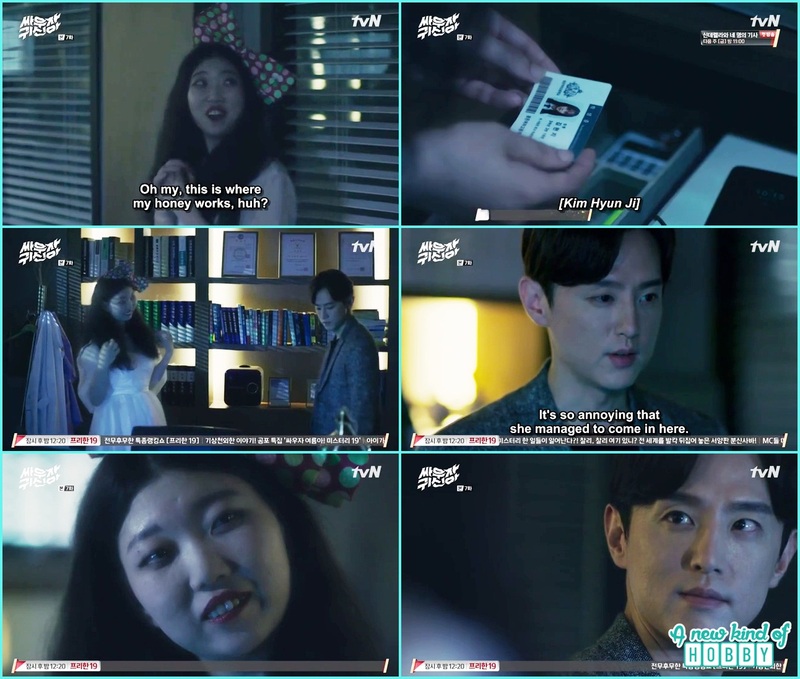 Bong pal and Hyun Ji encounter another female ghost. Though it was in the day time we become scared. All of a sudden and thank GOD we are not a student now. This female ghost was too scary but don't have any anger to show out. When ever Bong pal hit her she laughs, when she saw her mother she laughs which make us more scared. It was the story of a hardworking student who lost her grades and receives a scolding from her mother. In anger she wanted to die, she lost all her will to live and the scary ghost possessed her and made her more miserable. It was difficult to imagine how her nails were injured and she was acting all mad towards her mother. Bong Pal hardly manage to get rid of her but she ran. On the rooftop the evil spirit revealed her identity. It was the day time but still we feel a shivering while we saw her and her acts. She was too powerful, it took a long time to get rid of her. Now we think it was the third most scariest ghost through out the series. Everything was back to normal when her mother say sorry to her daughter, the evil spirit leaves her body and attack Bong Pal. But couldn't last long and vanished. It wasn't a simple but a complicated story of super natural elements. very scene we become confused same for the detectives who were working on the female student murder case. They receive autopsy report and got many clues that its not a human doing. What if the human is as powerful as the supernatural element. The detectives again check all the CC footage but things were weren't clear. He ask the assistant to check more in detail about the professor. After confirming the footage is not a camera malfunction. This remind us of the drama "Sign & Ghost" where the police is doubt of the criminal but don't have any solid prove to arrest him. The female unni ghost Kyung Ja followed professor to his clinic. She was plainning to have him as her honey. We feel pity for her she didn't knew who the professor really is. She saw the things and the phone ran. She opened the drawer and found Kim Hyun Ji ID there. She was surprised as well as we. The professor came back in the room and made us curious will he going to ignore her or reveal that he know her presence. The professor saw her with the evil eyes "Its so annoying ... She manage to come in here". The curiosity for his reaction we didn't new and the next scene came. Hyun Ji got her wish she receive 82% in the test and as promised Bong pal to take her amusement park. Hyun Ji was waiting for Bong pal but unfortunately he can't make to come. It was Seo Yeon fell and badly hurt her arm with the bike accident. Bong Pal took her to the hospital and help her. Hyun Ji was waiting and it was the time for the closing Bong pal didn't show. The episode ends here. What will Hyun Ji's reaction for Bong Pal not showing up. 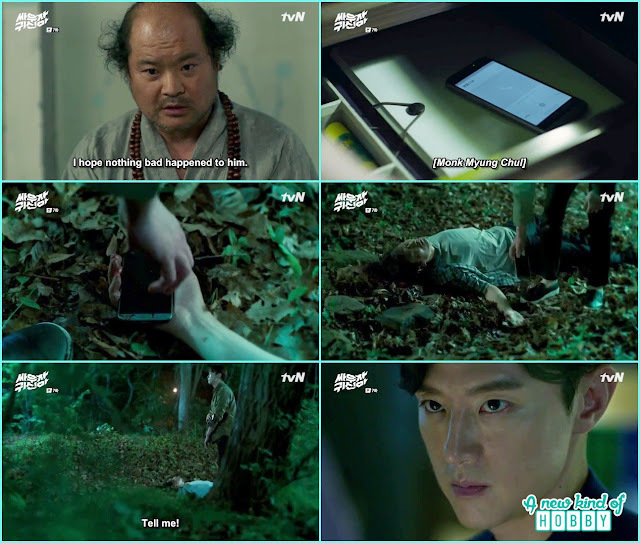 Will Bong Pal tell Hyun Ji the reason and ask for forgiveness? Stay tuned for next episode review.